Updated Wednesday June 22, 2016 by El Cerrito Youth Baseball. Congratulations to the 8U Select team! The El Cerrito Pirates ("Arrrr Matey!!") did ECYB proud over the June 16-18 weekend. They showed determination, positivity and a strong spirit in the face of some very tough competition, and made for a great Father's Day by seizing some trophies to admire on the drive home. The Redwood City 8U Classic included 12 teams from around the Bay Area, playing through some of the toughest heat of the season. The competition did not start well for the Pirates. 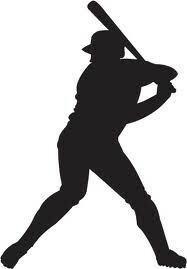 The team dropped its first game to Titan Baseball 11-1, with the bats staying quiet and the Titans taking advantage of the Pirates' few weeks off while our rec teams finished their season. But that was Thursday. On Saturday, the team came out swinging and won their first game 10-6 over the Peninsula Rays Red and then losing a tough one against the San Carlos Missions, 16-11. 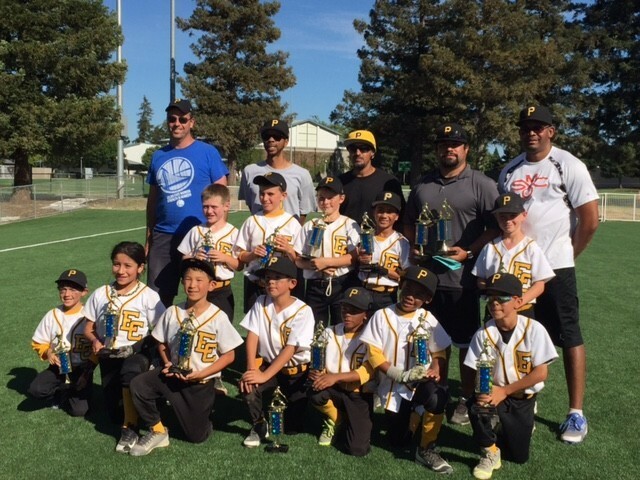 On Sunday, the Pirates found their stride in the tournament's Silver Bracket, beating the Rays yet again, 9-7, and taking the trophy with a hard-fought 8-5 victory over the San Carlos Lumberjacks. While receiving trophies is always fun, the coaches were particularly pleased to see all the smiles, encouraging chants and even a little bit of dancing, both in the dugout and on the field. Some excellent defensive plays and steady hitting up and down the order made all the difference. Look for more from this great bunch of kids over the rest of the summer! The team this past weekend included Luke Calvin, Jaq Chin, Quinton Lloyd, Miles Uter, Will Parker, Kamal Bhatt, Julian Connell, Will Reddall, Renaldo Abramson-Ward, Keegan Chin, Jasper Graf and Jasmin Araica.